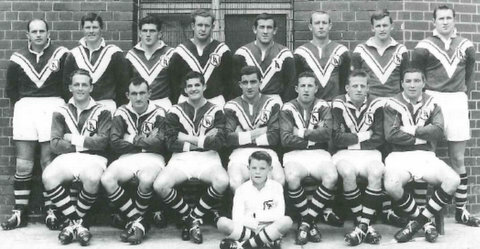 Brian was a tough front rower who played in the period 1960 until 1968. 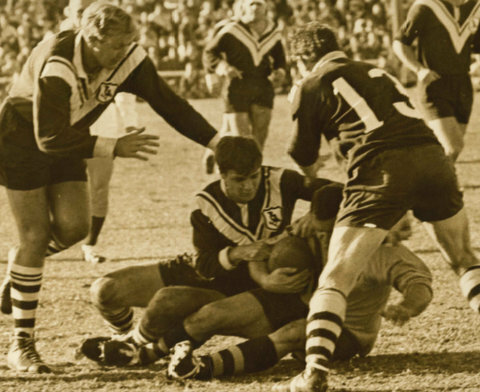 Brian came from Queensland to play for Wests at the age of 23. 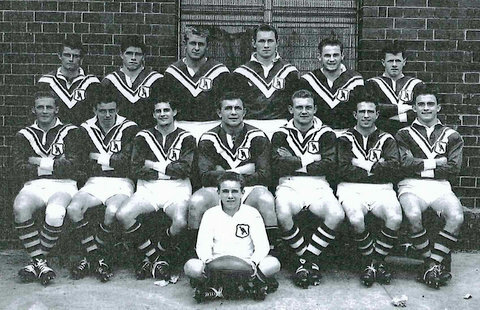 Brian’s Wests player name is 615. 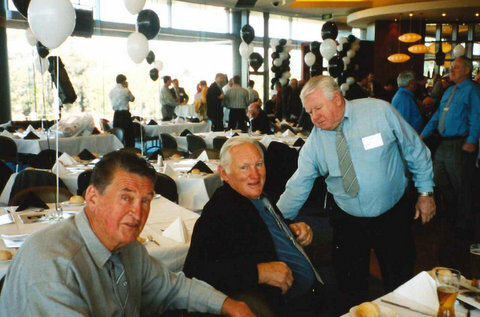 Brian Kowald at the 2009 Pratten Park Magpies reunion. 14 x First Grade, 61 Reserves, 64 Thirds. the SCG, Bill Martin captain (Wests defeated Souths 13-7 in extra time). The unusual reason that the Reserve Grade Grand Final was played at the Henson Park the following Saturday was told to me by Carl Ross. Wests finished in 1st place on the ladder. 4 teams finished 2nd on the ladder resulting in multi playoffs. The League did not use the points For and Against system in those days. 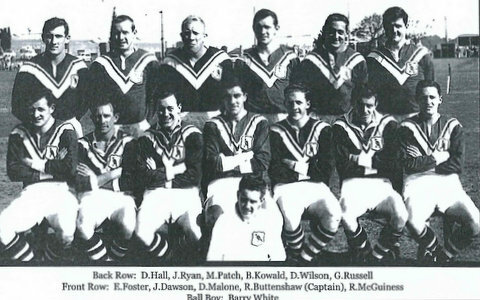 Sat, 9th Sept,Wests 20 v Souths 0 and went into the Grand Final. Reserve Grade. Final Manly 9 v Saints 4. Sat.23rd Sept. at Henson Park ,Wests 9 v Manly 3 . Simple?? 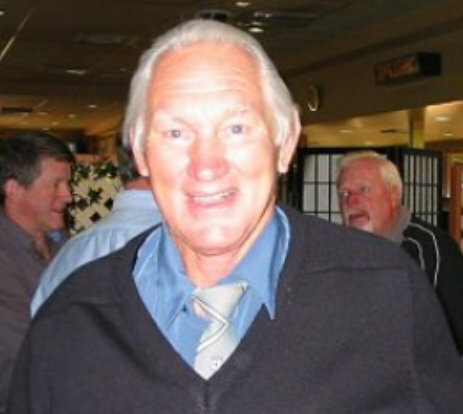 Brian played in back to back Reserve Grade Grand Finals. Brian is third from the left back row. 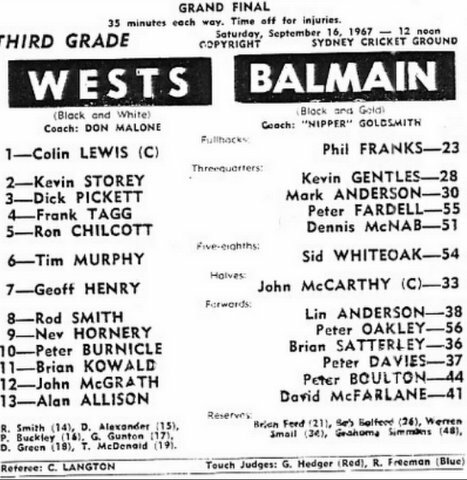 Wests 7 beat Balmain 5. Brian’s playing record is below. 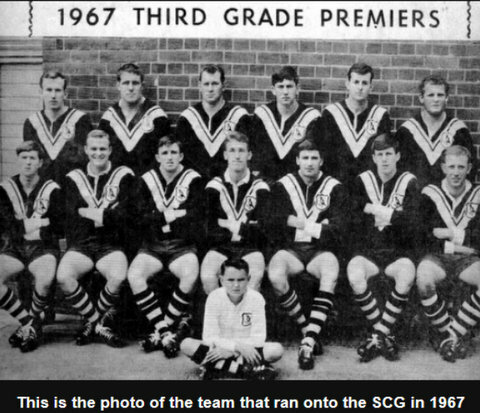 1964 1 x Firsts [plus 3 x Pre-season Comp. 13 x Seconds. 1965 4 x Firsts [plus 2 x Pre-season Comp. Thanks to Rick Wayde and the men at Wests Archives for the above information. and Brian Kowald number 13. 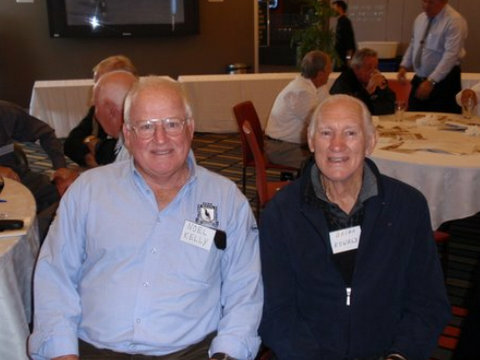 Brian was a regular at the Pratten Park reunions. Where he caught up with old mates. L-R Noel Dolton, Brian and Barry Ferney.